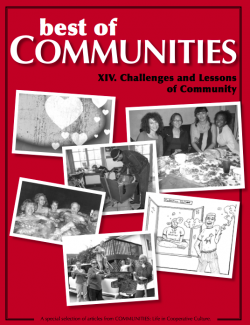 The key challenge of community is developing and maintaining healthy relationships—ones that are based on compassion, emotional depth, and authenticity. 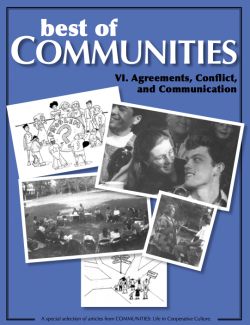 In community the emphasis is on quality of connection, not the ability to fit relationships and identities neatly into the traditional categories of nuclear family, kids raised solely by their biological parents (joined in wedlock), or crisp lines around gender identity. 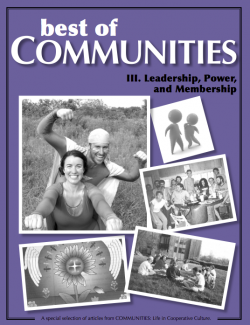 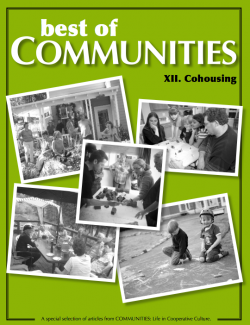 In community there are both traditional relationships and considerable experimentation. 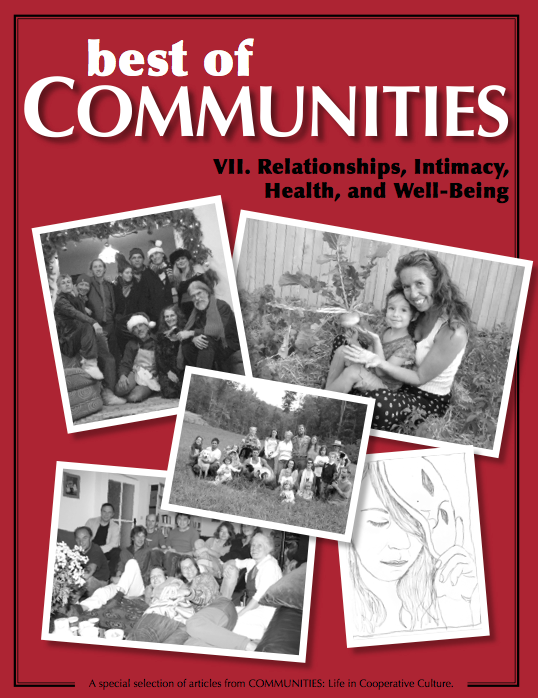 The Relationships, Intimacy, Health, and Well-Being collection offers an array of 17 articles that explore the range of what’s out there, plus how community can provide a precious safety net when members face devastating health challenges, how community offers hope for coping sensitively with mental health issues in the era of de-institutionalization, and the ways that communities are pioneering an attempt to redefine security in terms of relationships— instead of how much money you have in the bank.